PRMan 17 introduces several improvements to and enhanced uses for photon rendering. These include single-pass photon map generation, transient (in memory) photon maps, photon-guided indirect diffuse illumination, a new RSL shader interface for photon emission, motion-blurred photon maps, and volume photon maps. Additionally, photon tracing is now multi-threaded. After parsing the RIB file, PRMan will emit and trace the specified number of photons and then render the scene. Requesting the emission of 0 photons disables the pre-pass. Note that for backward compatibility, the original hider syntax still works; it simply traces the photons and then skips the render. 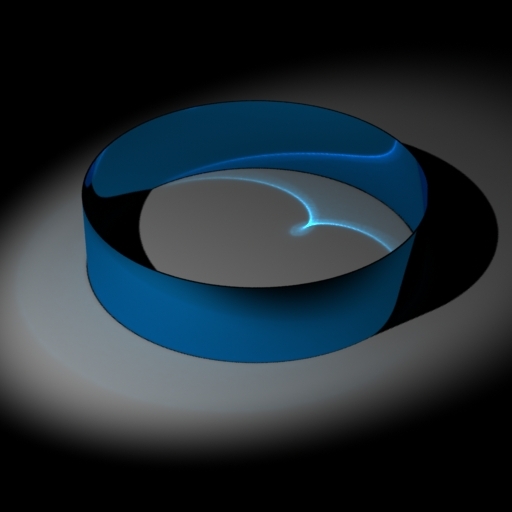 The speed benefits from the new multi-threaded photon tracing will still apply. Option "photon" "string lifetime" "transient"   # "transient" or "file"
"coneangle" 0.25 "string shadowname" "raytrace"
This gives the possibility of e.g. 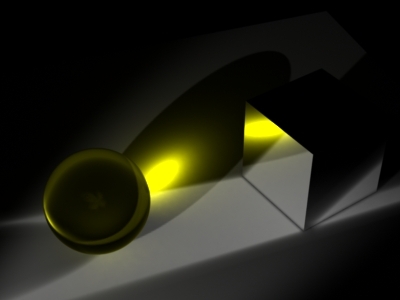 not storing photons directly from the light source -- necessary if we want to compute direct illumination by other means (usually ray tracing) and not double-count direct illum. 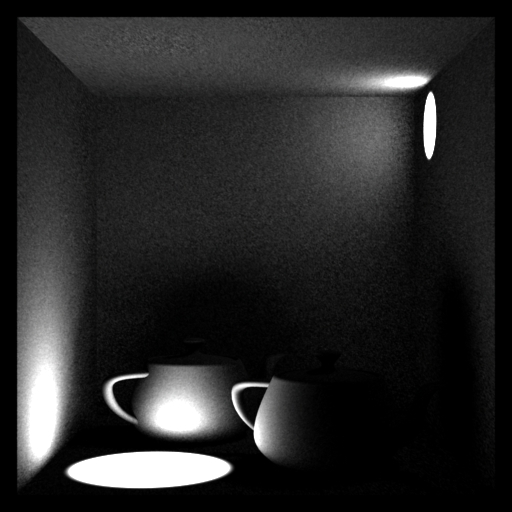 The indirectdiffuse() function is used to compute global illumination from diffuse surfaces. It shoots a bunch of rays and averages their colors. Although the implementation contains some clever optimization tricks, such as adaptive hemisphere sampling and irradiance interpolation (using irradiance gradients), the rays are shot "blindly" - we do not know where the brightest surfaces are until after we have shot the rays. This blind sampling leads to noisy results when the illumination is very uneven, for example due to a bright spotlight or a sunbeam hitting the floor in an otherwise dark room. In such cases, we have to shoot a lot of rays to avoid visible noise, resulting in higher rendering times. If only we knew where the brightest surfaces are, then we could shoot more rays toward them. Well, it turns out that we can know that: enter photon maps. If we find the nearest photons impinging on the surface near the shading point, and look at their incident directions (i.e., which direction each photon came from: the _incidentdir vector), that provides us with an excellent idea of where most of the light is coming from. The photon directions act as a kind of "oracle" giving us guidance on where to shoot most of the indirect diffuse rays. This is actually a very old idea, from the infancy of the photon mapping method - the idea was first proposed by Henrik Wann Jensen in 1995 (see References). The name of the photon map that indirectdiffuse() should use can be specified in two ways: 1) with a new parameter to indirectdiffuse() called "photonmap". 2) With the Attribute "photon" "globalmap". If both are present the parameter will take precedence. 4 = photon scattered by a volume (currently unused). 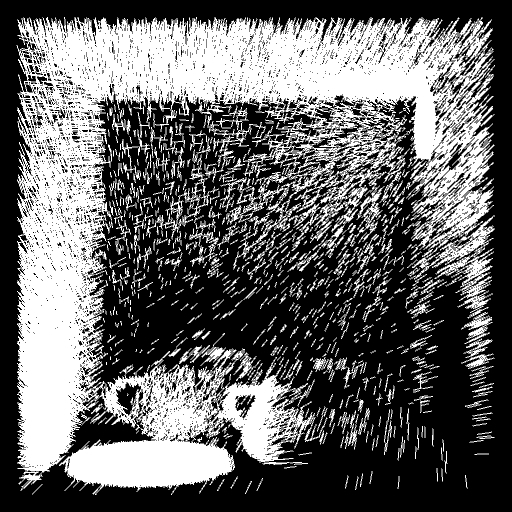 _diffusedepth indicates how many diffuse bounces the photon has been through. As it can be seen, there is significantly more noise in the original image, but the rendering times for the two images are nearly identical: 16 seconds versus 18 seconds. 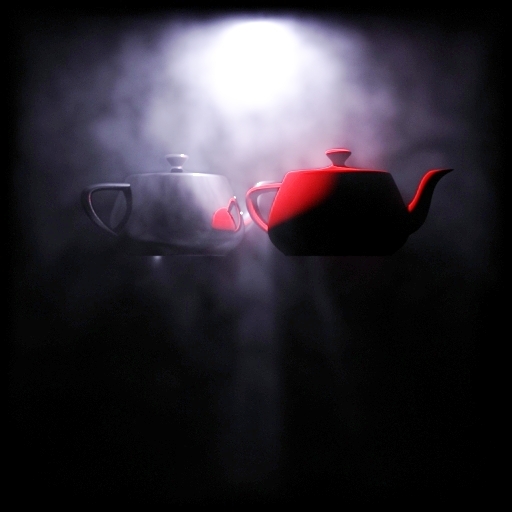 To get the same noise reduction without photon guiding would require tracing many more rays, incurring much higher render time. The photon density is highest in brightly illuminated areas, and in other areas most of the the incident photon directions point toward these bright areas. # uses the photon map to guide ray directions. Attribute "identifier" "string name" "box"
Attribute "identifier" "string name" "left teapot"
Attribute "identifier" "string name" "right teapot"
Previously, photon emission could be controlled two ways: by automatic analysis and evaluation of a standard light source shader, and by specifying a point cloud that photons should be emitted from. The new shader interface for photon emission is phase one of our on-going overhaul of PRMan's photon shading system. We are working on adding a similar shader interface for photon scattering. This will be in a future release of PRMan. For now, photon scattering can only be controlled by the build-in shading models ("matte", "glass", ...) and by point clouds or brick maps of brdf scattering coefficients. In most cases, it is perfectly fine to emit and trace the photons at shutter open time, and smear the shading result within the shutter interval --- as is the usual shading strategy for REYES rendering. Option "photon" "string lifetime" "transient"
We have several new built-in shading models for volume photon scattering. They are: "isotropic", "rayleigh", "hazymie", "murkymie", "henyeygreenstein:g=...", and "henyeygreenstein:g1=...,g2=...,r=...". For volumes, we treat each photon stored in the photon map as a beam instead of a point. This makes better use of the information in the photon map. (For details, please see the paper by Jarosz et al. listed below.) In PRMan version 17, each photon has a (unnormalized) vector pointing to where it came from. These can be visualized in ptviewer by switching the Render Style to Vector (_incidentdir). For photon map lookups in volumes, we use radiance estimates that locate the nearest photon beams passing by the lookup point (rather than the nearest photon point positions). The photonmap() function switches to volume lookups when the normal is (0,0,0). For anisotropic volumes, the photonmap() function needs a new parameter to compute the radiance estimates correctly: incident direction I (pointing from viewing position to the shading point P). Option "statistics" "endofframe" 2 "xmlfilename" "volumebox_stats.xml"
// A plausible volume material with homogeneous extinction. // Uses a simple isotropic scattering phase function. // A plausible volume material with turbulent variation of the extinction. Henrik Wann Jensen. Importance driven path tracing using the photon map. Rendering Techniques '95 (Proceedings of the Eurographics Workshop on Rendering 1995), pp. 326-335. Henrik Wann Jensen and Per H. Christensen. 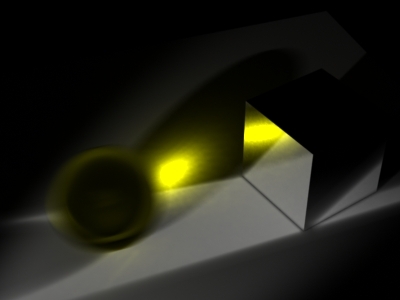 Efficient simulation of light transport in scenes with participating media using photon maps. Proc. SIGGRAPH 1998, pp. 311-320. Mike Cammarano and Henrik Wann Jensen. 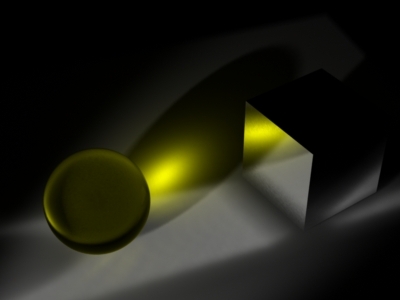 Time dependent photon mapping. Rendering Techniques '02 (Proceedings of the Eurographics Workshop on Rendering 2002), pp. 135-143. Wojciech Jarosz, Derek Nowrouzezahrai, Iman Sadeghi, and Henrik Wann Jensen. A comprehensive theory of volumetric radiance estimation using photon points and beams. ACM Transactions on Graphics, 30(1), 2011.